If you use Facebook, you may know that the social network is full of interesting videos, from family cute moments to amazing creations or goofy friend moments. You don´t need to be online to watch them on your iPhone. 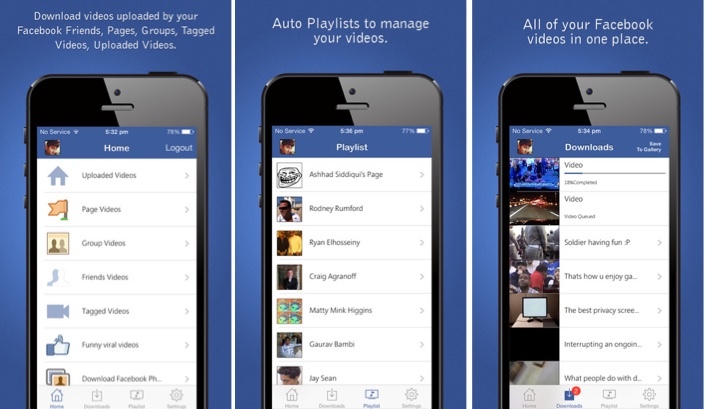 If you want to enjoy Facebook videos all the time, without having to use WiFi or even data connection, you need to try the app Video Downloader for Facebook that, like it name says, lets you download videos from the social network to your iPhone.